There are some computing situations that call for instant Internet sharing among tablets and notebooks. At the same time, you might be at a location where Ethernet connection is the only gateway to the Internet. This is where mobile WiFi hotspot comes in but if you want one with style and readily available. A pair of Ravi Ratan Cufflinks made of rhodium-plated base metal with silver finish might be just what you need. 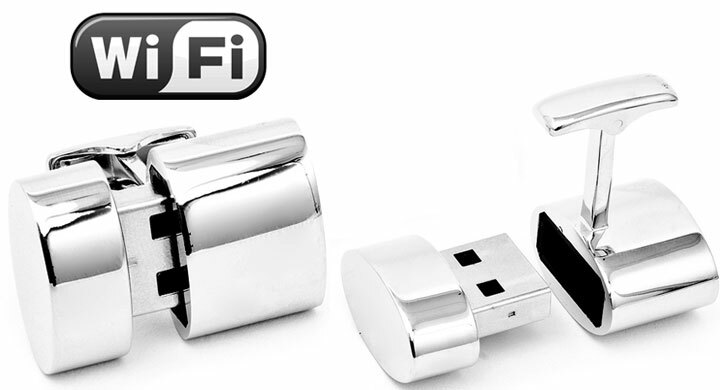 The said cufflinks are actually a 2GB flash drive and a WiFi USB dongle that can automatically set up as a router after you have accompanying software installed. We’re certain these cufflinks aren’t made for geeks in the first place as it’s well known there are already free and built-in options for Windows that allows sharing a laptop’s wired connection with nearby wireless devices. For $250, no one would pay this amount for a thumbdrive and a WiFi adapter but if it’s a miniatured MiFi, it would fly off store shelves.